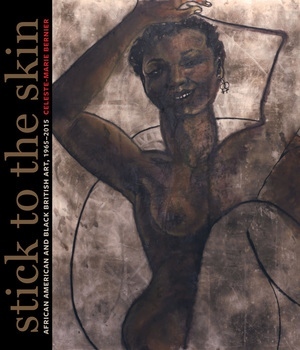 The first comparative history of African American and Black British artists, artworks, and art movements, Stick to the Skin traces the lives and works of over fifty painters, photographers, sculptors, and mixed-media, assemblage, installation, video, and performance artists working in the United States and Britain from 1965 to 2015. The artists featured in this book cut to the heart of hidden histories, untold narratives, and missing memories to tell stories that "stick to the skin" and arrive at a new "Black lexicon of liberation." Informed by extensive research and invaluable oral testimonies, Celeste-Marie Bernier’s remarkable text forcibly asserts the originality and importance of Black artists’ work and emphasizes the need to understand Black art as a distinctive category of cultural production. She launches an important intervention into European histories of modern and contemporary art and visual culture as well as into debates within African American studies, African diasporic studies, and Black British studies. Celeste-Marie Bernier is Professor of US and Atlantic Studies at the University of Edinburgh. She is the author of African American Visual Arts; Characters of Blood: Black Heroism in the Transatlantic Imagination; Suffering and Sunset: World War I in the Art and Life of Horace Pippin; and (with Andrew Taylor) If I Survive: Frederick Douglass and Family in the Walter O. Evans Collection.